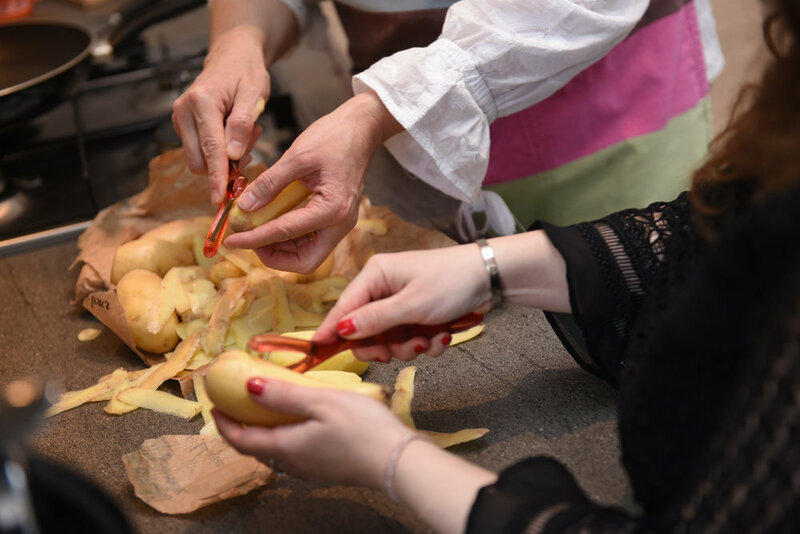 Cuisine Elégante offers the chance to learn about French cuisine by participating in cooking classes that take place in a typical Parisian apartment, located near the Eiffel Tower. 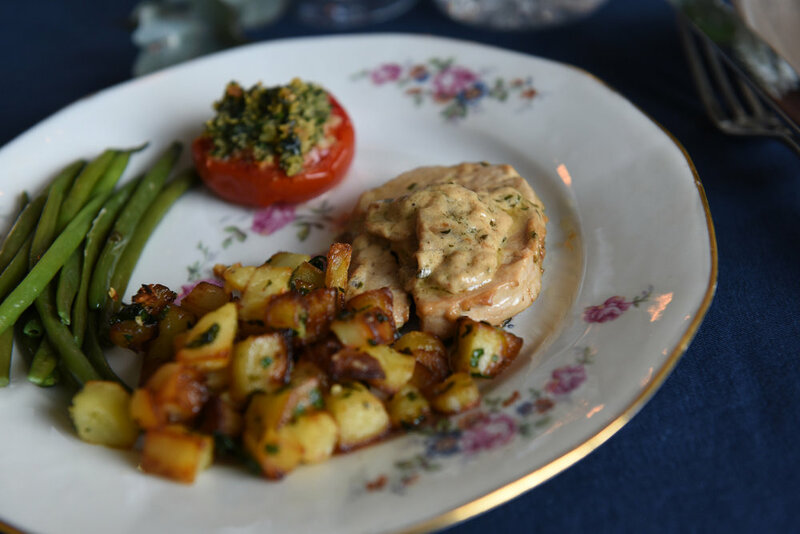 Come learn with your family or friends and experience how to prepare an authentic French meal. Individual and group classes are available in this charming setting and a range of menus is offered to suit every taste and tailored to the interests of each individual. Please visit the contact form for specific requests. 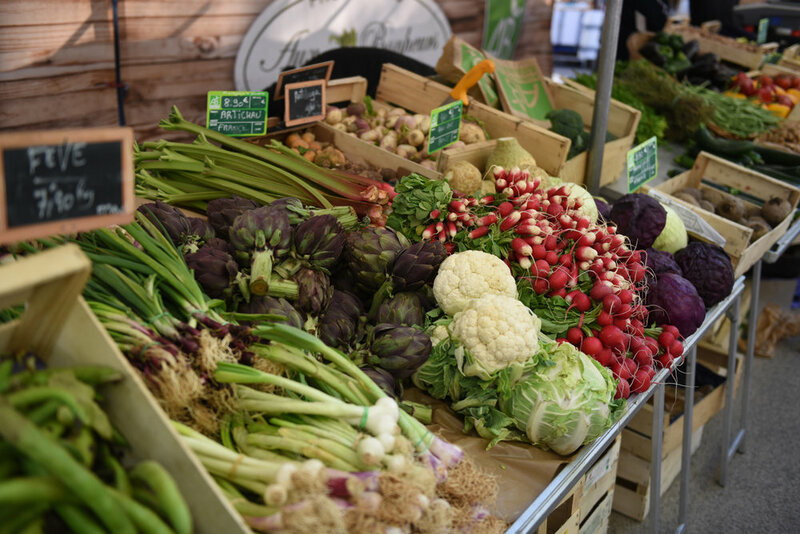 Explore local French markets finding the best fresh produce and learn about choosing the right ingredients for your meal. We offer a range of catering options from family gatherings, to friendly receptions, or a chic "cocktail dinatoire". 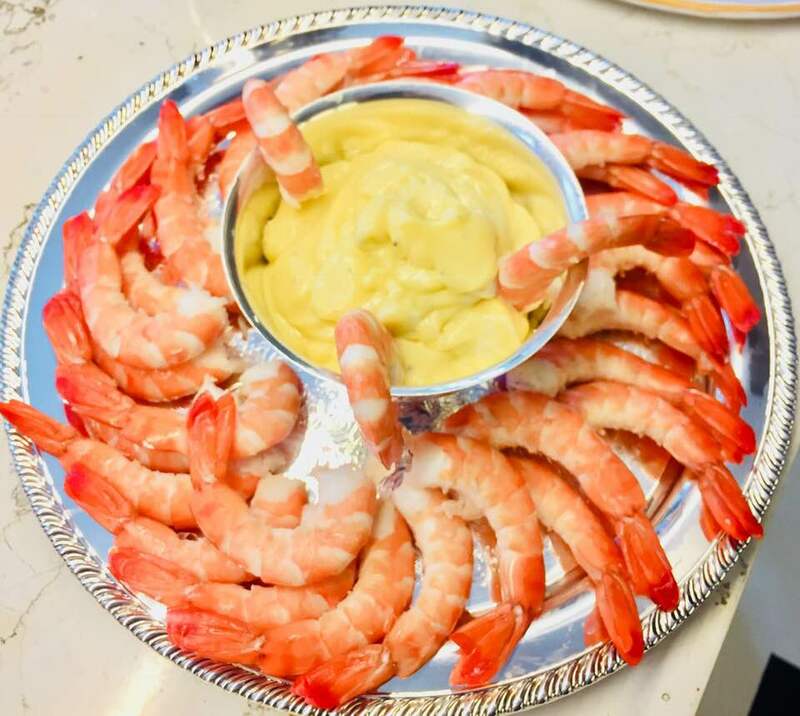 Let us help you create a catering experience that will be the perfect complement to the special event that you are planning. For more information, please fill out the contact form. 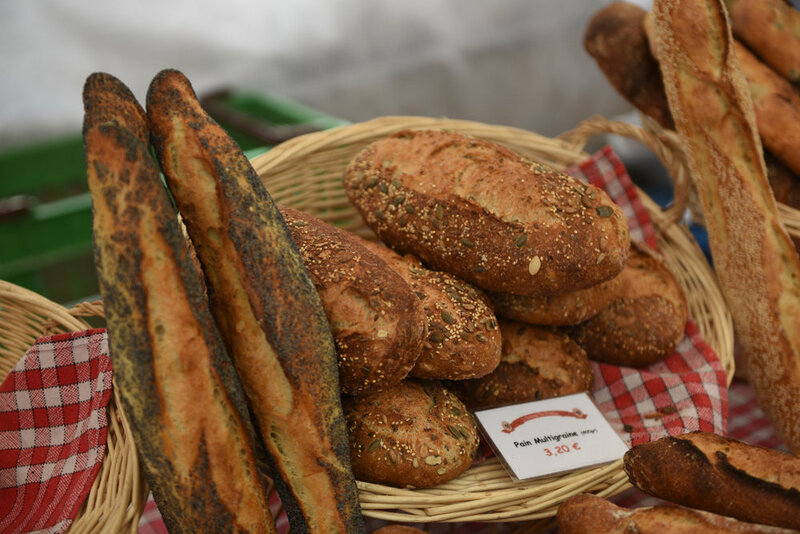 Guided by chef Véronique, you will learn new French recipes for traditional dishes that you can replicate at home. After cooking together for about 2 hours, we all sit down and enjoy what we have prepared. Menu dishes range from duck breast, ratatouille, poulet basquaise, or leg of lamb, and delicious desserts such as chocolate mousse or clafoutis. 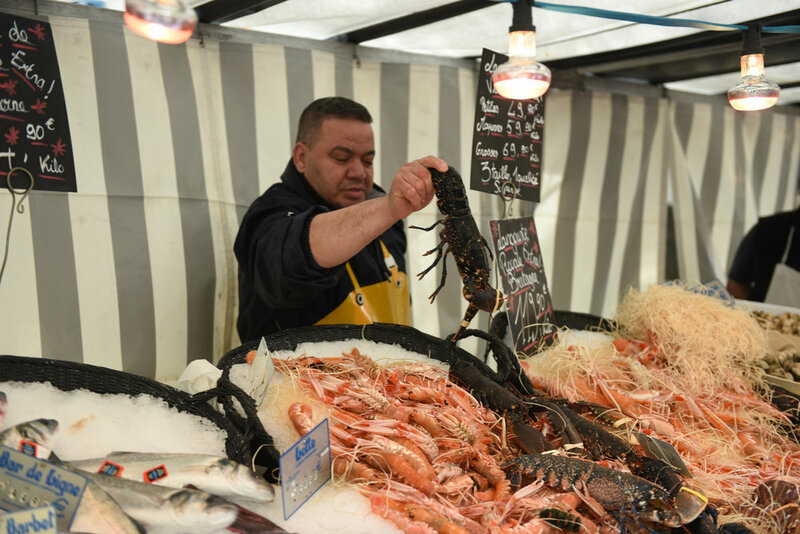 Experience produce shopping in a Parisien open air market or on Rue Cler (pedestrian market street) to pick up what we need to prepare our lunch. 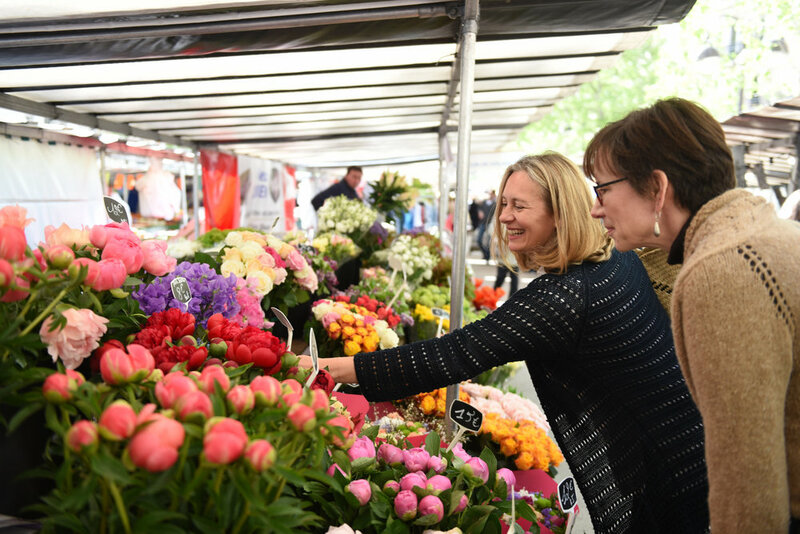 Véronique will show you the best methods for picking fresh ingredients, choosing the right cheese, and learn about French gastronomic culture. Back in the kitchen, she will show you how to prepare an authentic French meal using the seasonal ingredients chosen from her local vendors. Lunch includes a cocktail, starter, main course, cheese, dessert, and wine. 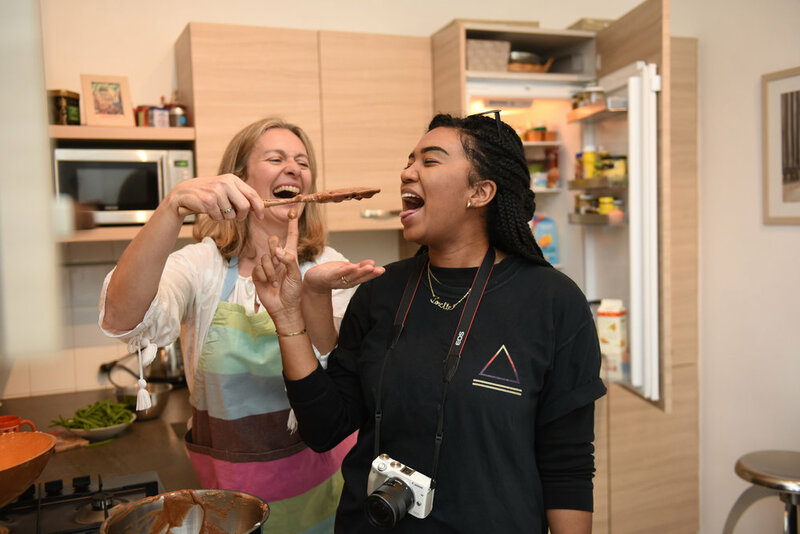 After lunch, Véronique will take you on a two-hour tour of various French chocolate, pastry, and bread shops, such as POILANE, the famous EPICERIE DU BON MARCHE, LA MAISON DU CHOCOLAT, and JACQUES GENIN, her favorite chocolatier, for a lovely chocolate degustation. One of the secrets of a great French meal is the right pairing of food and wine. Oenologist Geraldine and chef Véronique have teamed up to present some classic French dishes with some exceptional French wines in a relaxed and friendly atmosphere. Join us for a delightful evening to remember!